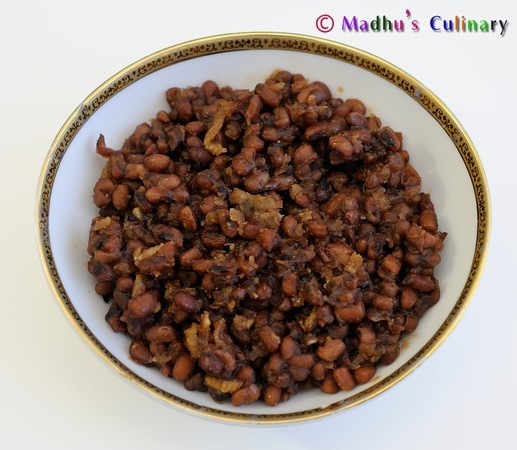 Mocha Kottai Sundal (Val Dal / Cutlass Beans) ->Suvayo Suvai | Simple Vegetarian Recipes, Easy to prepare and healthy to eat! Soak mocha kottai over night and cook it in the pressure cooker up to 4 to 5 whistles by adding little salt and enough water. 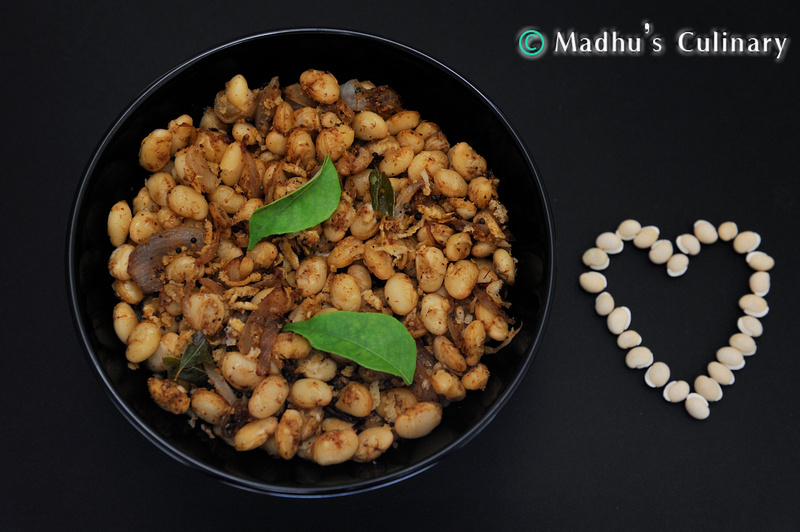 Take a kadai, add few drops of oil and add the channa dal, coriander seeds and red chilli. Fry until golden color. Let it cool and grind it to the powder consistency. 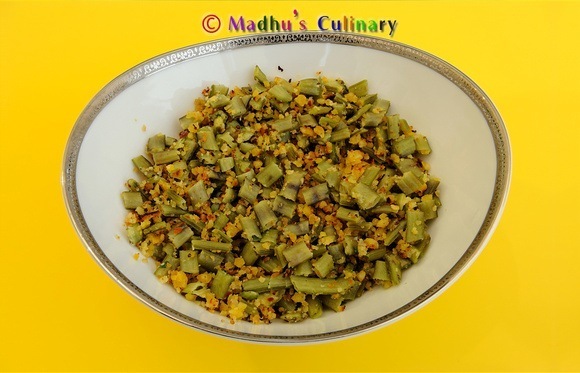 Take a kadai, heat the oil add mustered seeds when its splutters add curry leaves and add chopped onion saute until it turns golden. Add the cooked and drained mocha kottai and mix it well. Add the ground masala powder and salt and mix it well. Add the grated coconut, mix it well. Let it cook for few minutes. 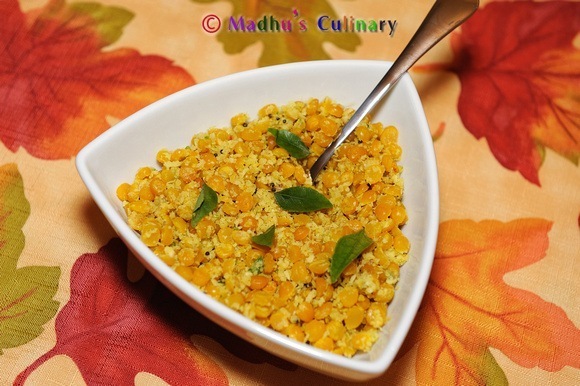 Serve it hot for snack or side dish for rice recipes. all are attractive & simple methods.very nice.